I have been knitting a stupid amount of shawls lately. Don't get me wrong, I love knitting a shawl, but it was getting kind of ridiculous. 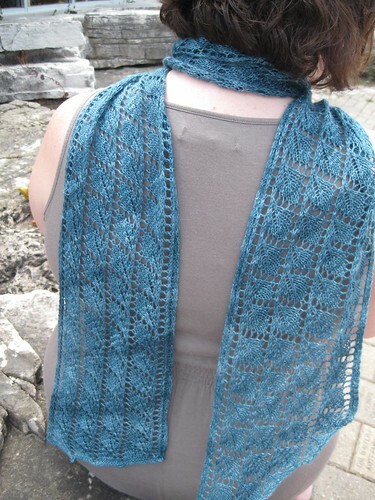 I was still wanting something lacey to work on, but something kinda easy that was pretty to look at and didn't give me that "shawl math headache." And so the Aberdeen Scarf was born. 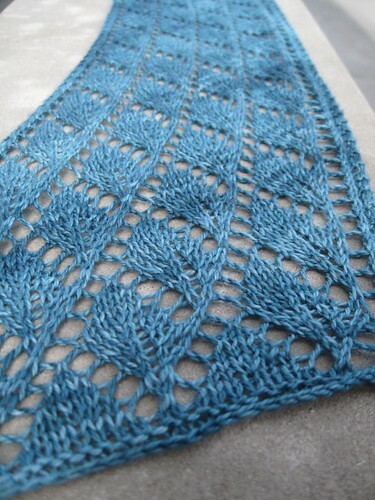 Knit using just one skein of Anzula Cloud, you can whip one up in a flash. ﻿I think it's the perfect scarf for springtime, don't you? 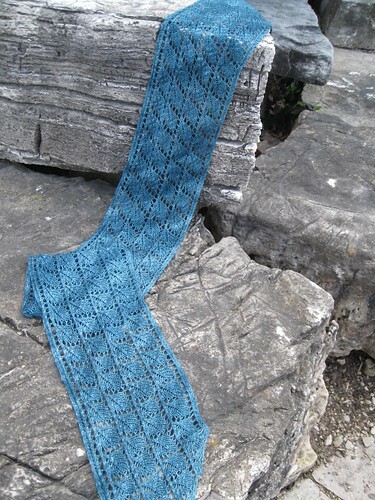 Pattern is $4.00 on Ravelry, but if you use the coupon code "springscarf" you can get it for just $3.00 now through 3/30. A sweet deal for a sweet scarf. Hope you enjoy the new pattern! Happy knitting.